Prints are something I have always been obsessed with. 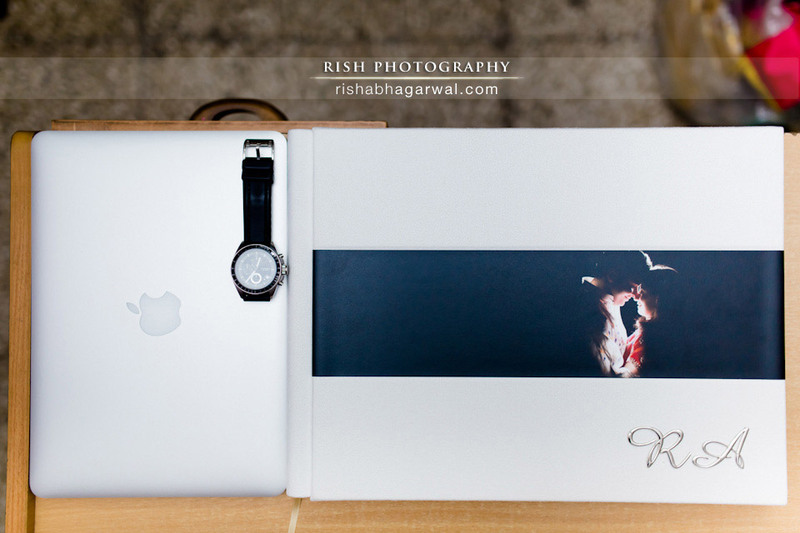 Sure, with the innovation in technology, we have digital screens of iPads and laptops all around us with features like pinch to zoom and what not, but still, you cannot deny the magic of prints. 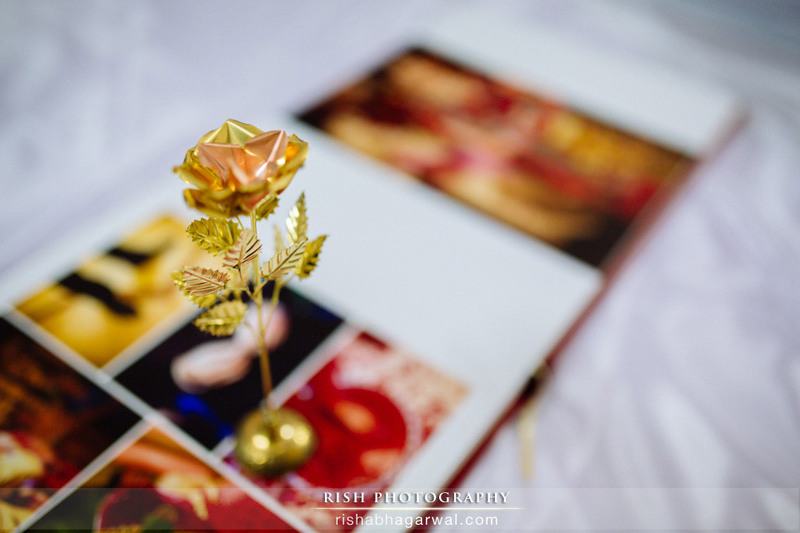 If you ask yourself what’s that most important photograph to you ever, chances are, it’s an old printed one which hides among the pages of an old book. Isn’t it? Unfortunately, though there have been groundbreaking innovations in camera and computer technology over the years, the print industry has always been stranded. 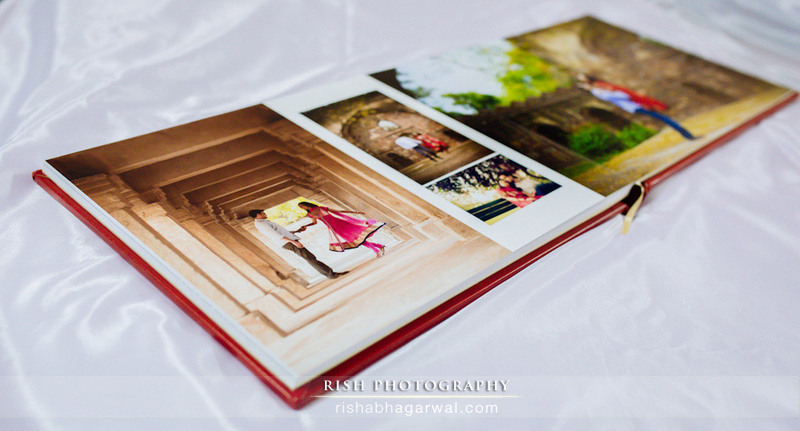 They have been using same age-old print quality machines and procedures. The result? You can have the best equipment & talent in the world to make great photographs but you’ll always get average quality prints. 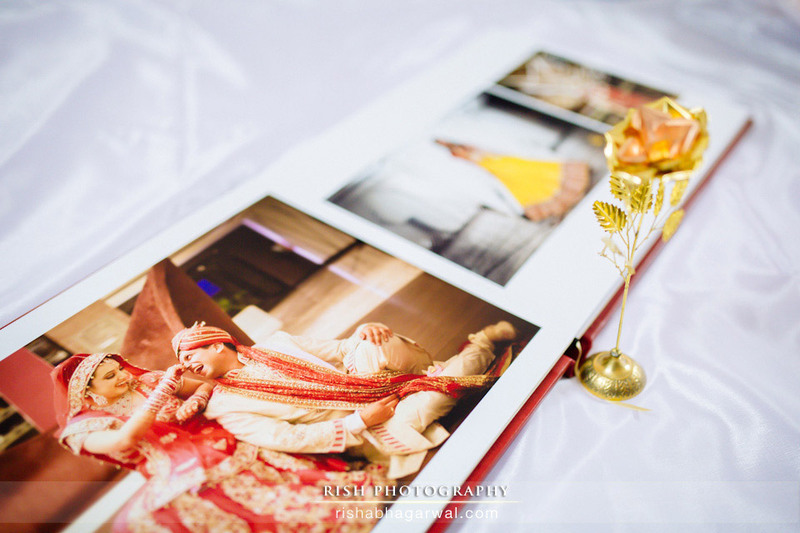 Talking about India and specifically about weddings, I work * a lot * on colors. 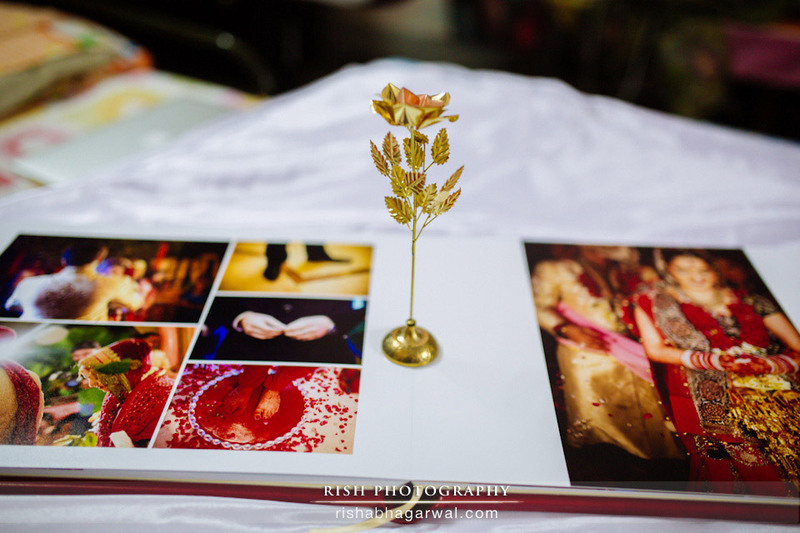 Every shade of red is important to me and I put everything to create the exact feeling in the photographs that was there at the wedding. With albums, I never got the same. It used to piss me off seeing that I put so much effort in perfecting everything and the print companies were able to ruin everything in 5 seconds! 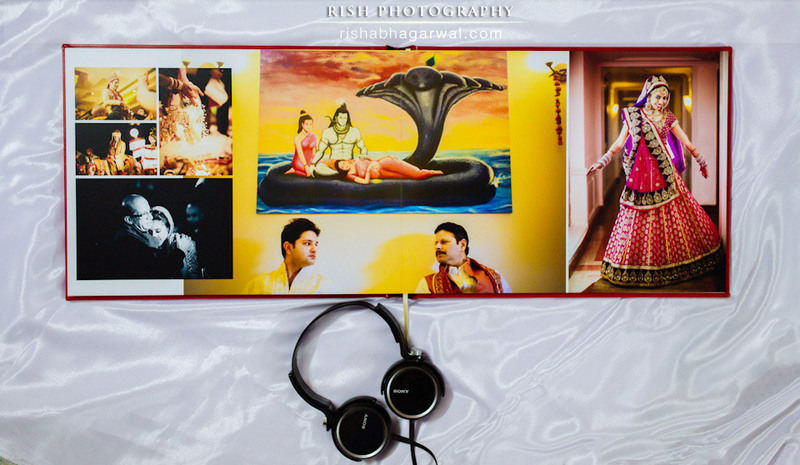 That was one reason I had never printed albums as the part of my product. They weren’t world class and I would never have settled for less. But the quest for getting world’s best quality prints never ceased. I kept looking, ordering samples & investing a nice chunk of money as well. And finally, I was able to get that quality. It was Album Epoca. The most striking thing about Album Epoca range from Italy was their simplicity. There wasn’t any BS cover designs or overly photoshopped design layouts. Every single cover option was from an artist and screamed a style. The internal layout also let the photographs speak, instead of the photoshopped flowers and petals around them (which I hate, by the way, and which is a very loved thing among a lot of customers). Another important thing for me was the paper quality itself. The album you see here is flush-mount version of their collection (the best one probably) and doesn’t have a seam in the middle. 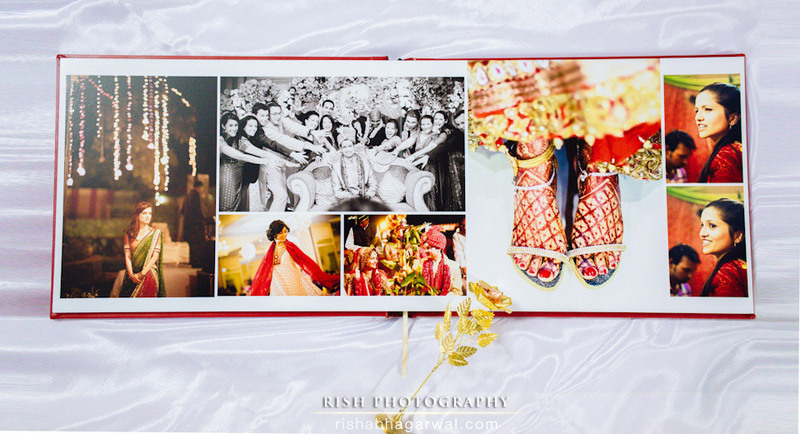 What that means is you can put your photographs in the center without having to worry about the folding lines that are usually there in the albums. Of course, there are a lot of other companies doing that in the name of “Lay Flat Coffee Table Books” and I have tried most of them. No one was able to nail this quality. 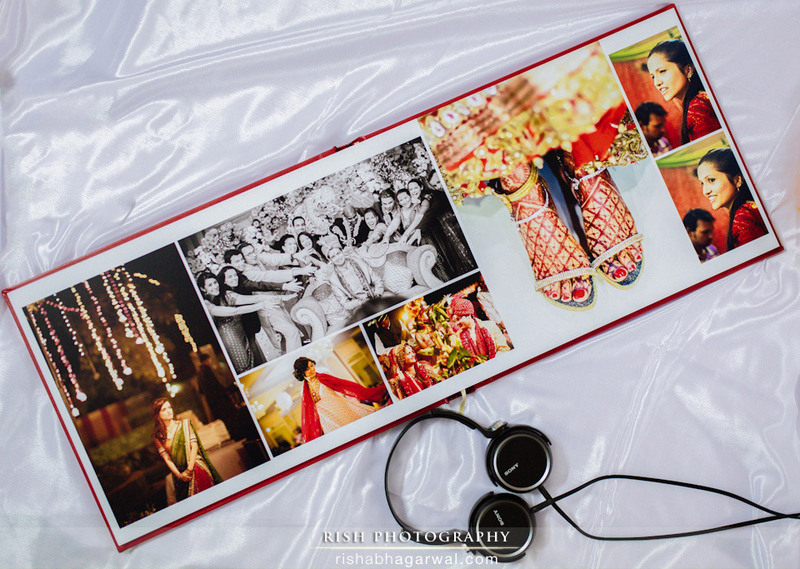 This one specifically is a 16×12 album with a true leather finish cover in red color. It feels rock solid and isn’t going anywhere for at least 20 years. The pages are of top-notch flushmount quality. 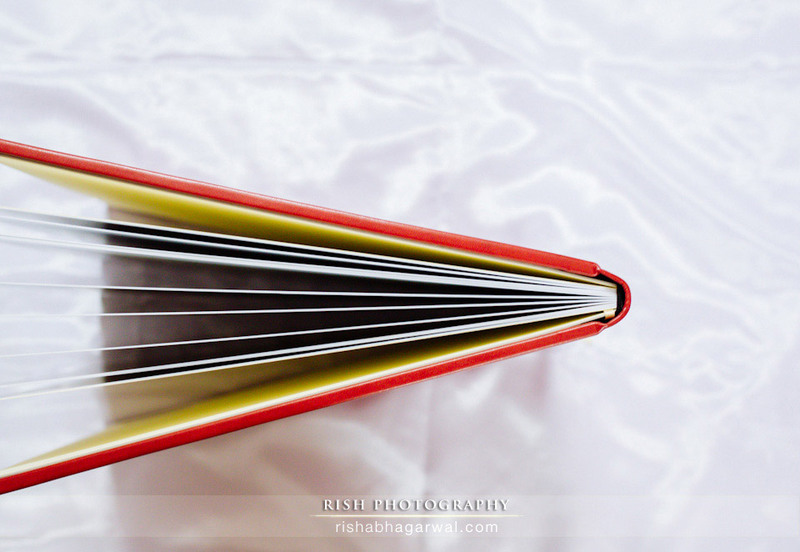 I think they bind every single page manually which gives them the edge of perfection. 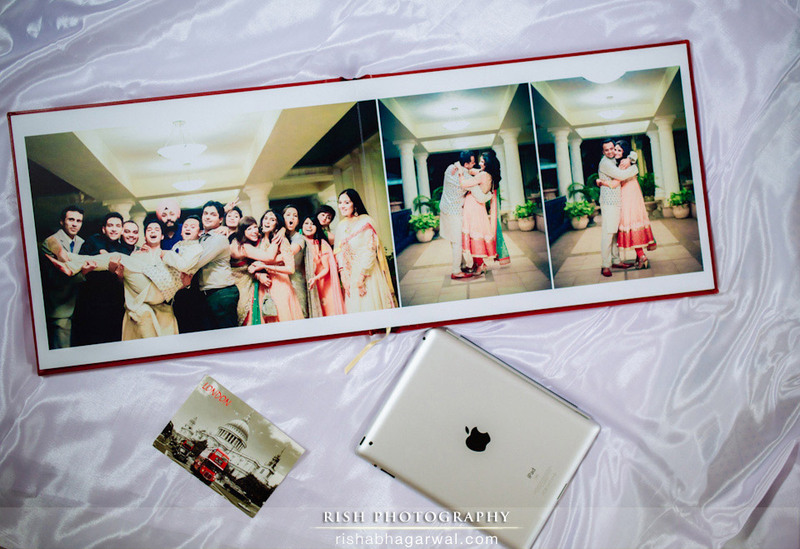 Even the photo printing procedure is insane. Every page has two sides and those are printed separately. Then the pages are bound together and heated in an oven for 60-90 minutes before they take their place in the final hand-crafted album. 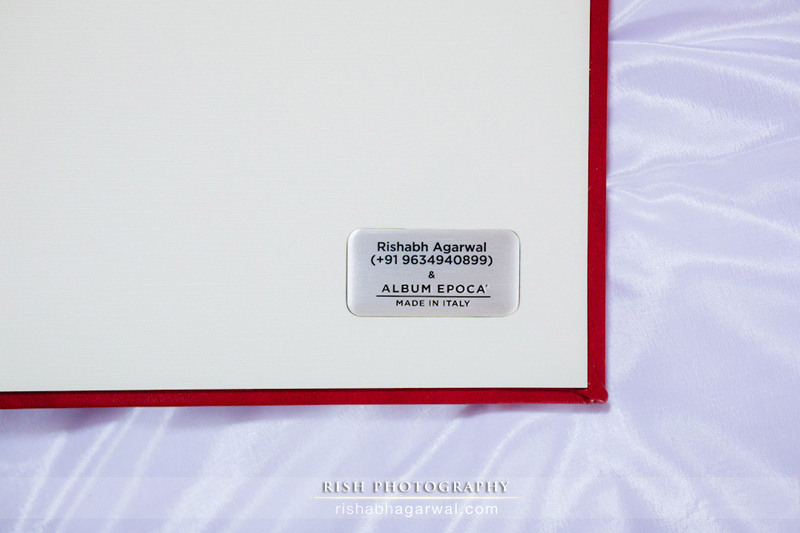 So that was a short review of Album Epoca wedding albums from Italy. Super awesome, super classy and rock solid. And such premium things of course come with a premium price tag and it might not be for everyone. 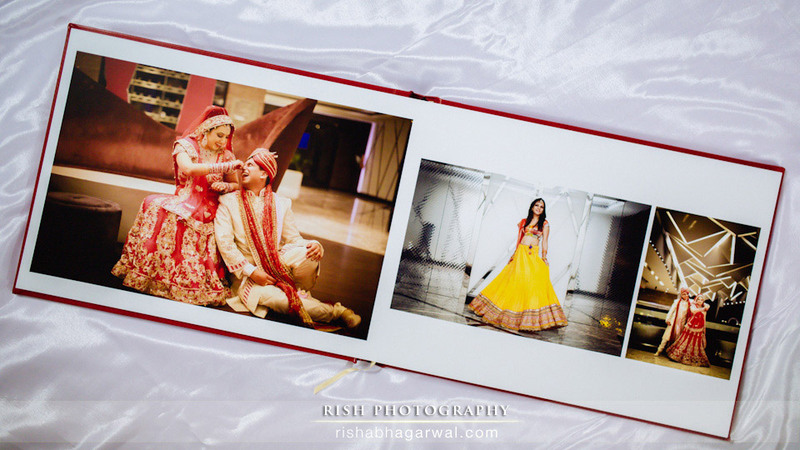 There are so many great cover options ranging from leather to velvet, from gold page edgings to Swarovski crystals and initials. You can always mix, match and select what suits your taste and budget. As for me, I have found the world class albums which do justice to my photographs. 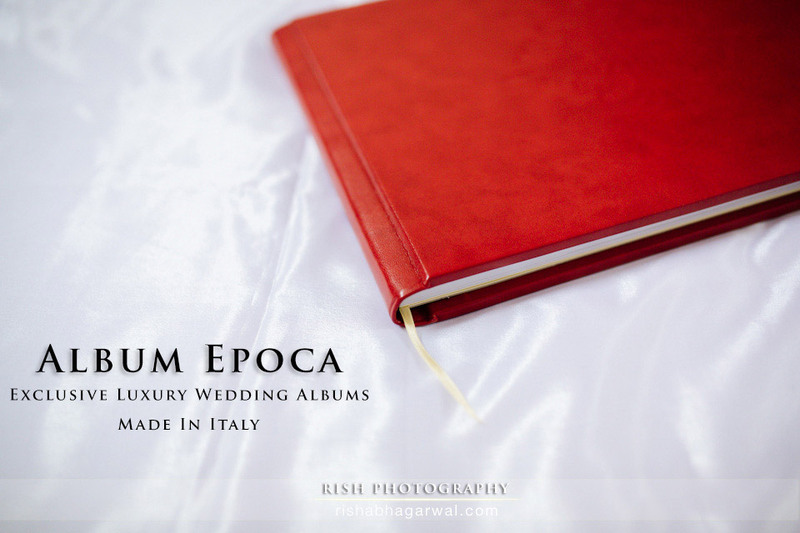 I offer Album Epoca exclusively to my clients and everyone loves them! Thank you for reading through.